New to the Gun Range? 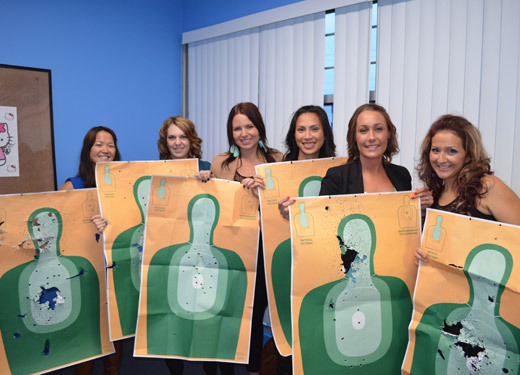 If you have never visited our gun range before, rest assured that we are extremely easy on new visitors. Here is some basic information to get you started. Haven't been to our range? Curious what it looks like inside? Take the tour. If you plan to bring a larger group of people along for the visit we suggest making a group reservation. Information on group booking can be found on our group pricing page. If you plan to arrive with less than 10 people only, you are free to walk right in with no booking as we only do bookings for groups of ten or more. **We require a minimum of two people per group. No single shooters unless you are law enforcement, military, a current member of DVC, or hold a valid Canadian Firearms License. Our range hours are here. Regardless of whether you are a first timer or showing up for your hundredth day of shooting, you will need to sign in. All customers including minors must have valid govt. issued ID and we will have you sign a standard waiver. The Daily admission for general public is $30.00. You will be paying for the ammunition you use on top of this. Visitors under the age of 19 must be accompanied by a parent or legal guardian. A legal document proving Legal Guardianship is required. After signing in, you will choose the guns you wish to shoot as well as the targets you wish to shoot at. Don't worry if you don't know what you should choose. 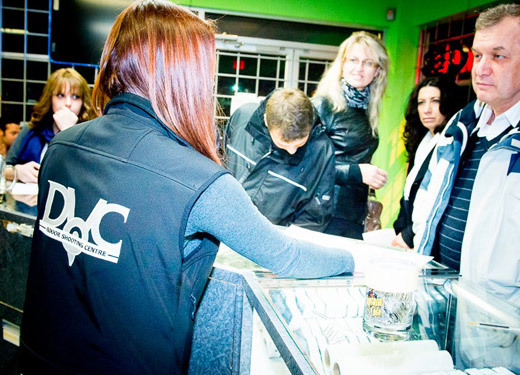 Our staff will be happy to help you select some firearms that are appropriate for your level of comfort and experience. 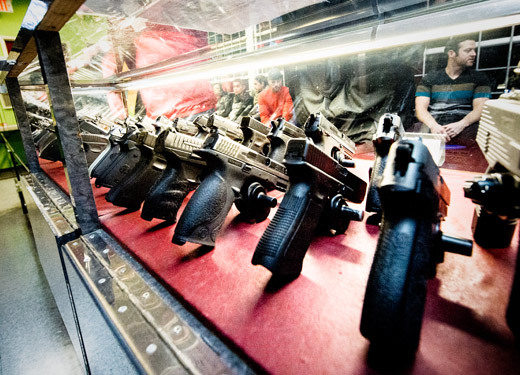 Some of our regular guns and their ammunition pricing can be found here. 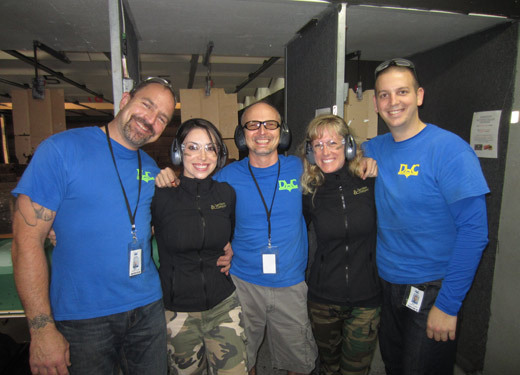 Once you are ready to head into the shooting range itself you will be assigned an instructor. Our instructor will walk you through the basic safety rules of the range itself as well as demonstrate the appropriate, safe use of the firearms you will be using. Please ensure you pay attention to all instructions and commands from your instructor. We have a zero tolerance policy for those who act in a purposefully unsafe manner. 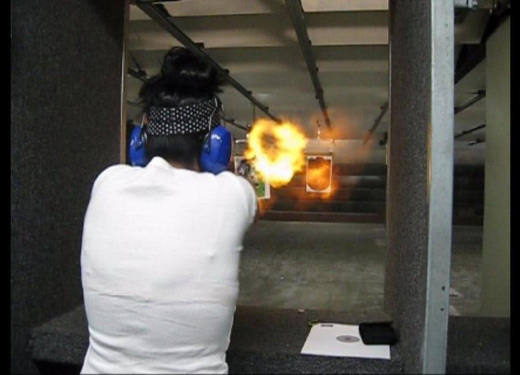 Once you have demonstrated that you understand the instructions given to you by the instructor you will begin shooting. The instructor will remain nearby to answer any questions or concerns you may have, offer tips and advice and make sure everyone is following the safety rules. Should you wish to try some different firearms, your instructor will be happy to bring them to you.